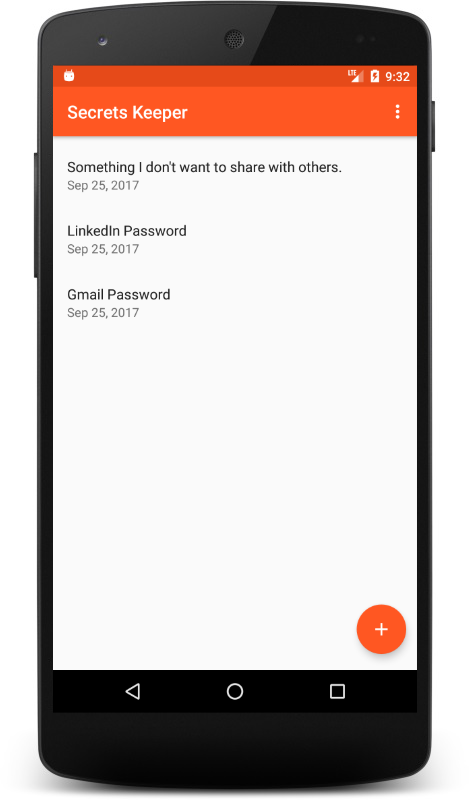 Secrets Keeper is a simple secure application that uses Android Key Store API, Fingerprint API and Confirm Credentials API to keep your secrets in safe. Project is open sourced and hosted on GitHub. With Yallo you will be able to call any destination in the world! 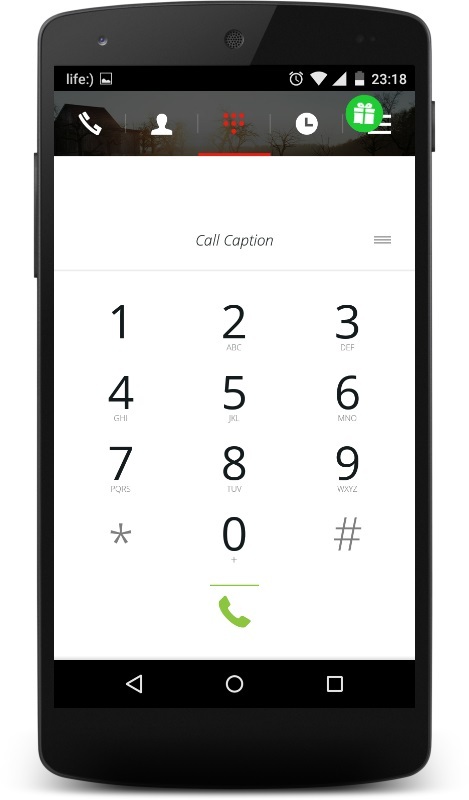 All calls made through Yallo, both incoming and outgoing, will benefit from all of Yallo’s features for free. Yallo is not standard Phone Service. Unlike other mobile VoIP apps that offer cheap international calls, with Yallo you receive so much more than just calls. You can enjoy all our features including Call Recording, Call Caption, Go Yallo, Travel features and so much more. 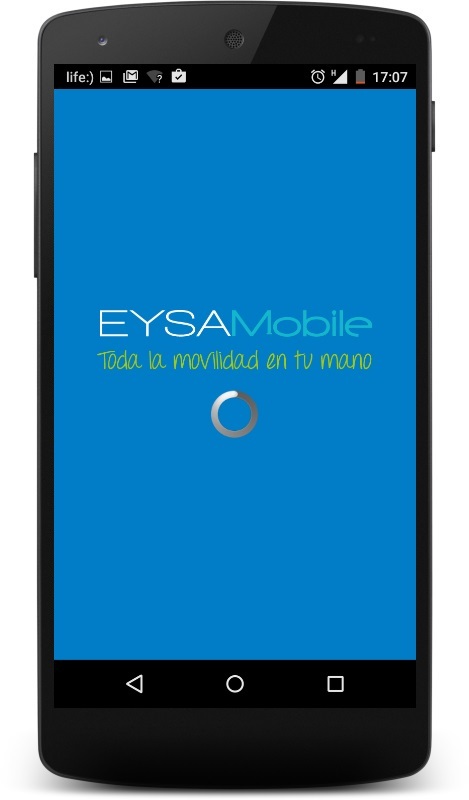 EYSAMobile system that lets you pay for your parking space with your mobile phone without going to the parking meter. Park correctly in a regulated zone without needing to go the parking meter or having to leave a ticket on your dashboard. Extend the amount of time parked without returning to the parking meter. Leave your parking spot and pay only for the actual amount of time parked. Park for the maximum amount of time without worrying when it expires, and get refunded for the time not used. And more. This app provides the easiest way to share your contact details with anyone. Create your business card in 10 seconds, using your Facebook or Linkedin account. 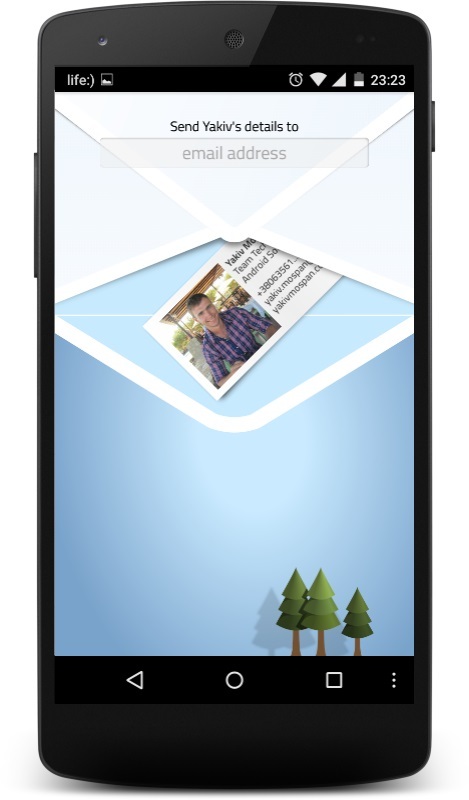 Send your card securely to anyone simply by typing their email. 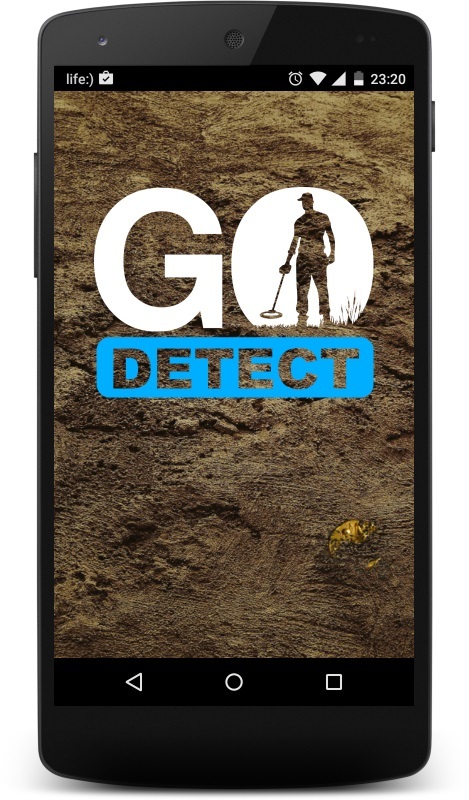 Go Detect is the first detection app, hand made by detectors enthusiast for detectors fans and expert. Increase your Detection results by using a revolutionary private and secure system using the GPS of your Android device. Get access live to your outdoor detection, Pin Point your findings, Measure your tour distance and rank what you have found. Increase your knowledge, Archive your tour and create photo album of your findings. 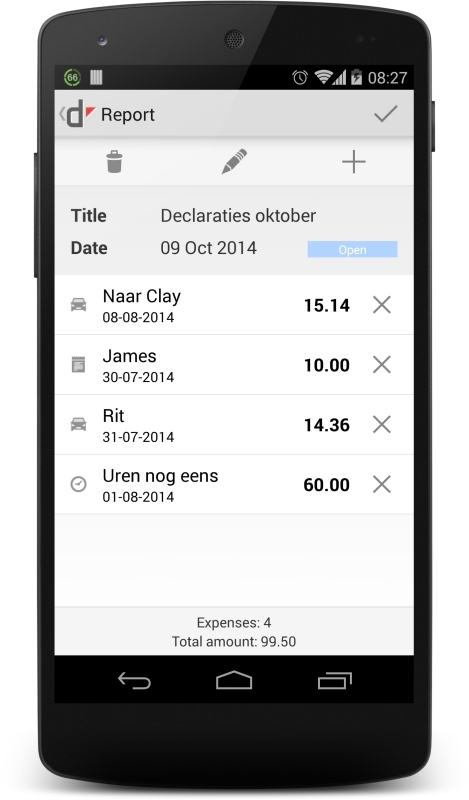 Add comments and notes to create your own agenda. 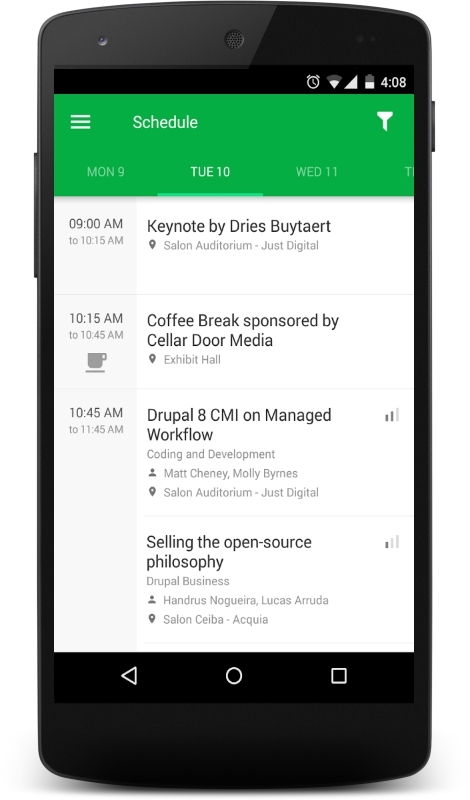 A simple and easy-to-use DrupalCon Conferences guide app with the full Conference schedule. Download it to your phone and seamlessly keep track of the events, learn about the speakers and favorite sessions. Make sure you visit all the desired events by adding them to your schedule.